Starting with Windows 8, the DirectX SDK is included as part of the Windows SDK. We originally created the DirectX SDK as a high-performance platform for game development on top of Windows. As DirectX technologies matured, they became relevant to a broader range of applications. Today, the availability of Direct3D hardware in computers drives even traditional desktop applications to use graphics hardware acceleration. In parallel, DirectX technologies are more integrated with Windows. DirectX is now a fundamental part of Windows. Because the Windows SDK is the primary developer SDK for Windows, DirectX is now included in it. You can now use the Windows SDK to build great games for Windows. To download the Windows 8 SDK, see Windows SDK and emulator archive. You have code (or perhaps an older book) that makes use of D3DX9, D3DX10, D3DX11, or XACT Engine. Your application uses use XAudio2 and supports Windows 7 systems. You are targeting Windows XP with the alternate v1x0_xp Platform Toolset. This book is a monster. 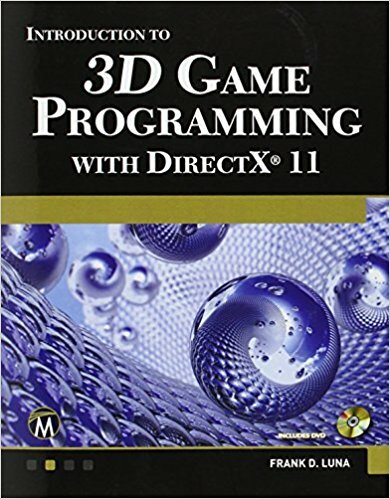 I read 1/3 of it on a flight from Philadelphia to Seattle, and found it to be incredibly useful for learning DirectX. The author is very thorough, and has notes along the way illustrating why he explains things a certain way, or how edge cases may sprout up from time to time around the way a certain feature of DirectX is working. Overall, it is well worth the money, and I’ve already received huge value from it. I started here with learning DirectX, and still believe it is the best place to start. The author is a Microsoft MVP, and I can see why. His tutorials are incredibly thorough, practical, and segues seamlessly from one chapter to the next. You can get pretty far into the tutorials before you hit a premium tier, which is unlocked by paying $50, which I still think is a steal at that price. In this video you’ll learn what a graphics pipeline is, what they are used for and also what happens at each stage of the pipeline. 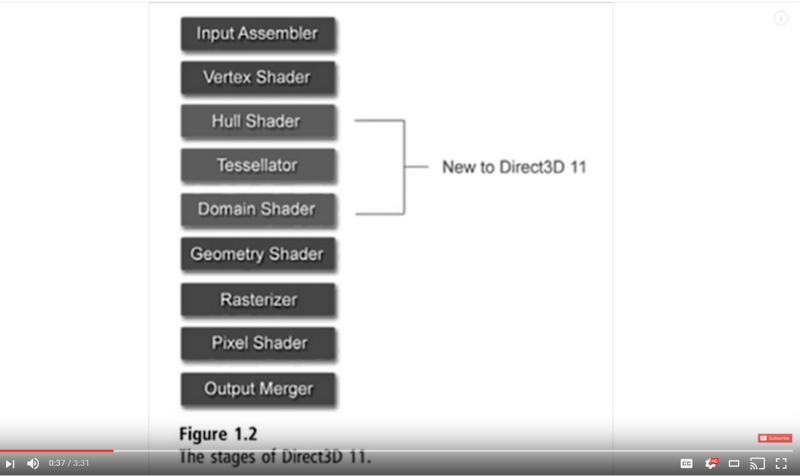 The DirectX 11 pipeline is used as an example. In addition to the samples, we are announcing the first DirectX 12 preview release of the MiniEngine. It came from a desire to quickly dive into graphics and performance experiments. We knew we would need some basic building blocks whenever starting a new 3D app, and we had already written these things at countless previous gigs. We got tired of reinventing the wheel, so we established our own core library of helper classes and platform abstractions. We wanted to be able to create a new app by writing just the Init(), Update(), and Render() functions and leveraging as much reusable code as possible. Today our core library has been redesigned for DirectX 12 and aims to serve as an example of efficient API usage. It is obviously not exhaustive of what a game engine needs, but it can serve as the cornerstone of something new. You can also borrow whatever useful code you find. Windows Vista Direct3D 11.0 applications. make use of VS 2013 Update 5 or VS 2015 Update 3 and Windows 7 Service Pack 1 or later. see “Where is the DirectX SDK?” <http://msdn.microsoft.com/en-us/library/ee663275.aspx>. 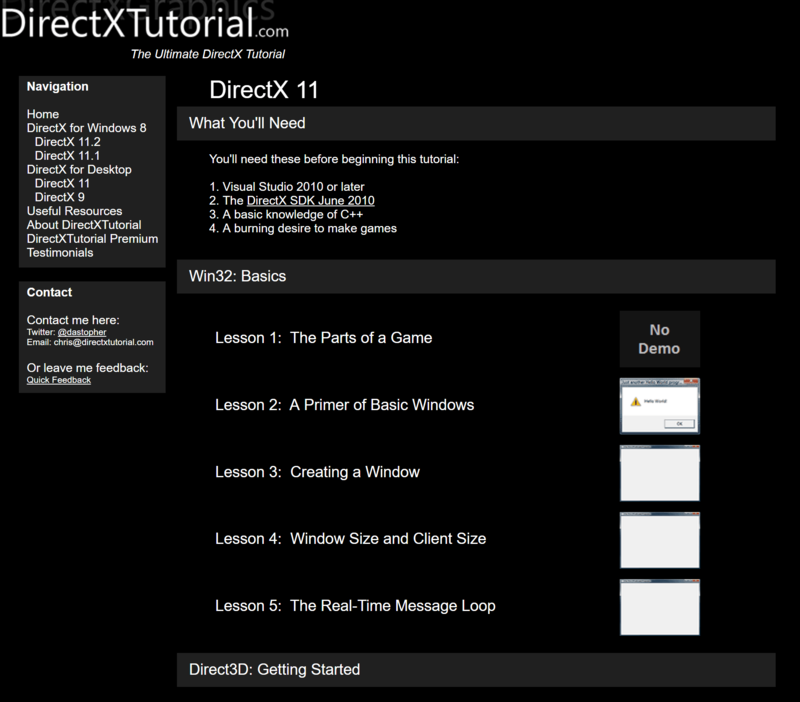 It also includes DDSTextureLoader, WICTextureLoader, and ScreenGrab from the DirectXTex package.